[PDF] Photoshop: The Complete Beginners Guide Box Set To Mastering Photoshop In 24 Hours Or Less! (Graphic Design, Adobe Photoshop, Digital Photography, Creativity) | Free eBooks Download - EBOOKEE! Description: Besides Photoshop, there are many other applications that have some similar features. They are usually less complex and some of them are even free, but the final result is typically not as good as it would be if you used Photoshop. 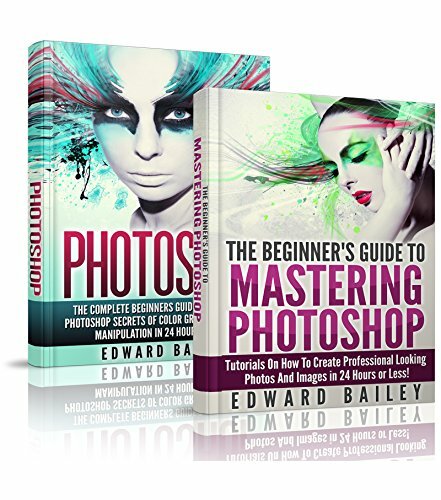 In This Box Set You will learn How To Master the Secrets of Color Grading and Photo Manipulation in less than one day, and turn your photos into Magazine Covers! Also You will learn Tutorials on How to Create Professional Looking Photos and Images in 24 Hours or Less! We will take you step by step and guide you through all the basics you will need to know in order to master photoshop quickly and easily. No comments for "[PDF] Photoshop: The Complete Beginners Guide Box Set To Mastering Photoshop In 24 Hours Or Less! (Graphic Design, Adobe Photoshop, Digital Photography, Creativity)".